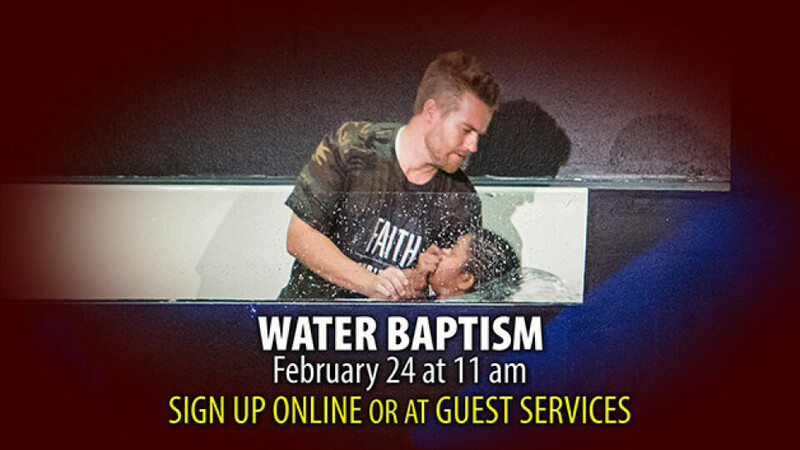 The next Water Baptism will be on Sunday, February 24 in the 11 am service. For Water Baptism, bring an appropriate pair of clothing for the baptism, a towel, and a change of clothes. The required age for water baptism is age 13. To be baptized, you must attend the required baptism class at 10 am in Room 162. To sign up for Water Baptism, please fill out the form below.